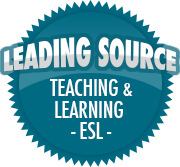 Games | So, You Think You Can Teach ESL? Hello everyone! It has been a while since my last real post. I’ve been quite busy since the start of the semester in March, and haven’t had much time to write. That aside, recently I have found a number of fun and interactive PowerPoint ESL games. I was browsing the Internet for some fun games to help my students review vocabulary or concepts. The templates you can download have different themes such as Pokemon, Yu-Gi-Oh, Doraemon, and more. They are full of fun images and some even have music from the game/series to keep your students engaged. The templates are blank with instructions on the first slide about how to add questions, or change images, etc. I’ve tried them out with a couple of my classes, and the kids love them! If you’re looking for a fun activity for your students to do, as well as review content, look no further! You can find the templates here (but you need to create an account and log in to download).